Recently opened in late 2016, the Eleanor Boathouse is part of an ecological renewal of the once neglected and polluted Chicago River. 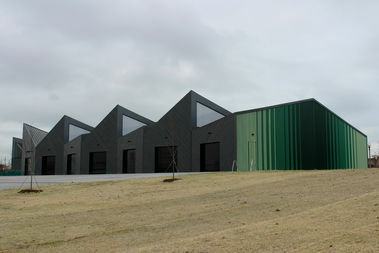 It is one of two boathouses on the river designed by Studio Gang. This week we’re jumping back a few years and taking a look at the magnificent Kansas University Boathouse! What Does An Olympic Boathouse Look Like? With the Olympics kicking off this weekend, we thought it would be nice to take a look inside one of the facilities these world class athletes call home for their Olympic preparations. How does the boathouse of your dreams look? What features does it have to give your rowers the best possible conditions to excel? This boathouse quarterly post we’re taking a look at the stylish and vast boathouse at The University of Tennessee. What’s So Special About This Boathouse? Frank Lloyd Wright is a acclaimed architect who passed away on April 9th in 1959. His designs however have lived on. Finishing construction and opening in 2007, the Buffalo, NY Fontana Boathouse was built from a design started in 1905.